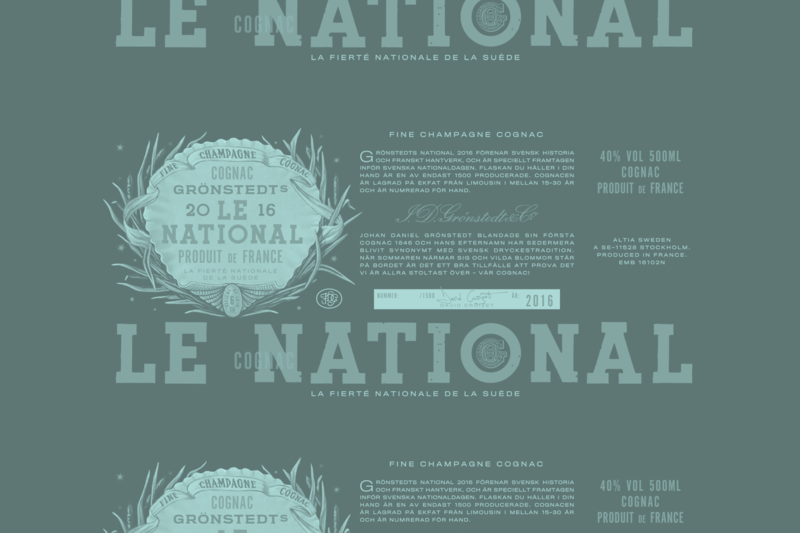 Every year in June Grönstedts release ‘Le National’ – their flagship cognac celebrating the Swedish national holiday. 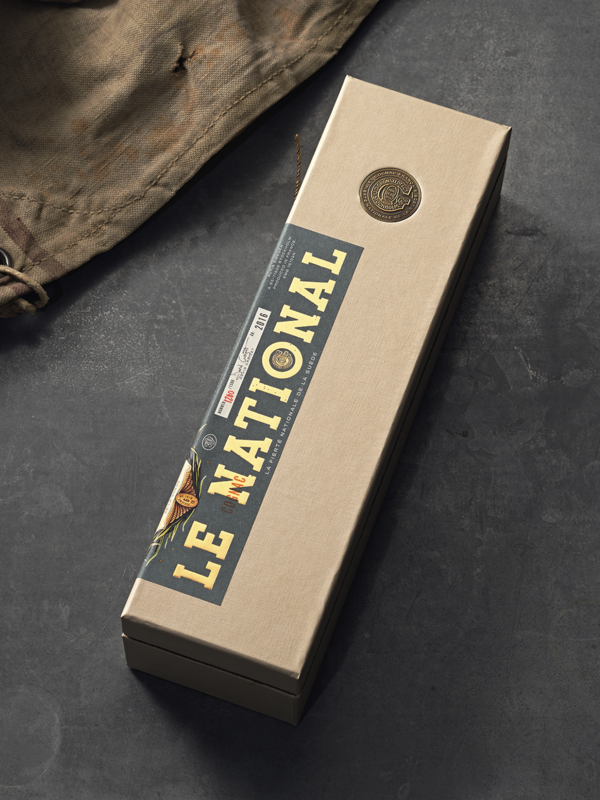 With a limited budget and tight time plan, the client briefed us to lift the quality of Le National’s appearance to match that of the product within. In hopes to activate the whole brand, a new strategy was created to lift the unique dual origin of the product. 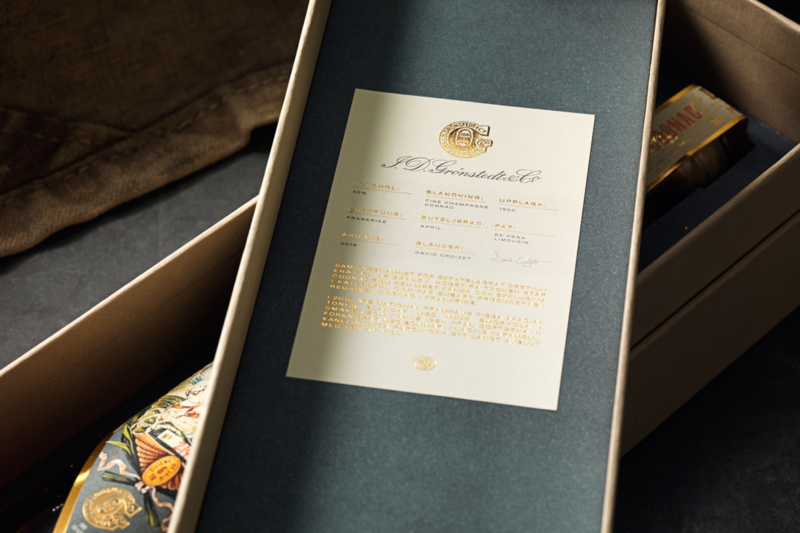 Our objective was not only to design a premium product but to develop analog production techniques in order to deliver a truly special experience that would appeal to all five senses. 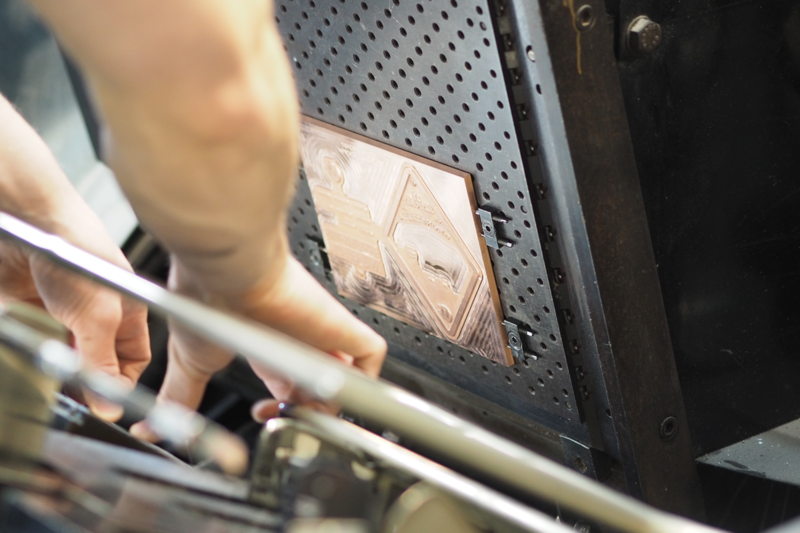 The result is a bespoke box with a single, locally minted brass coin. 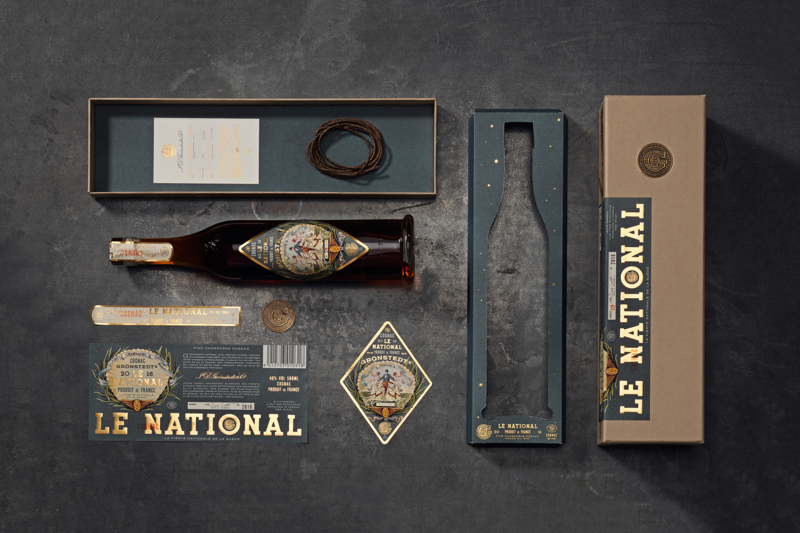 Both box and bottle are individually labelled and numbered by hand. 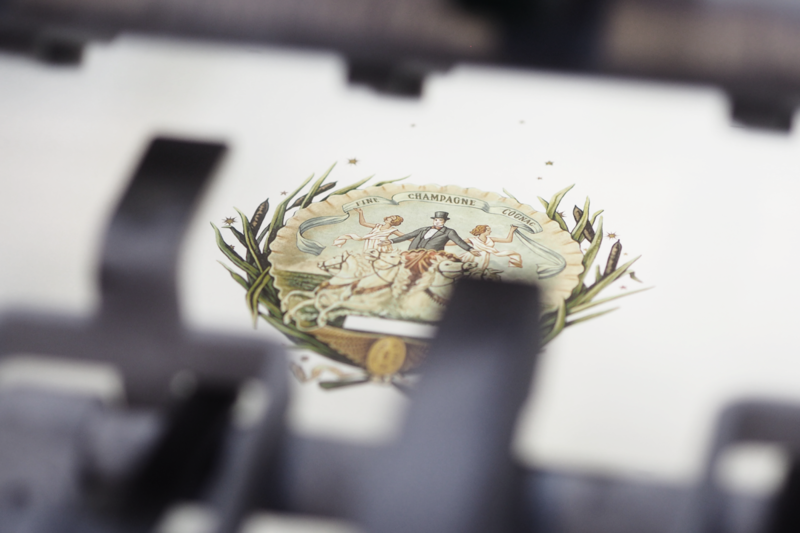 To lift the concept, a celebratory action is embedded in the destruction of the outer box label – by pulling the tarred hemp string and ripping the label the consumer is forced to destroy something beautiful in order to experience the product. By doing this a new tradition of celebration is born. 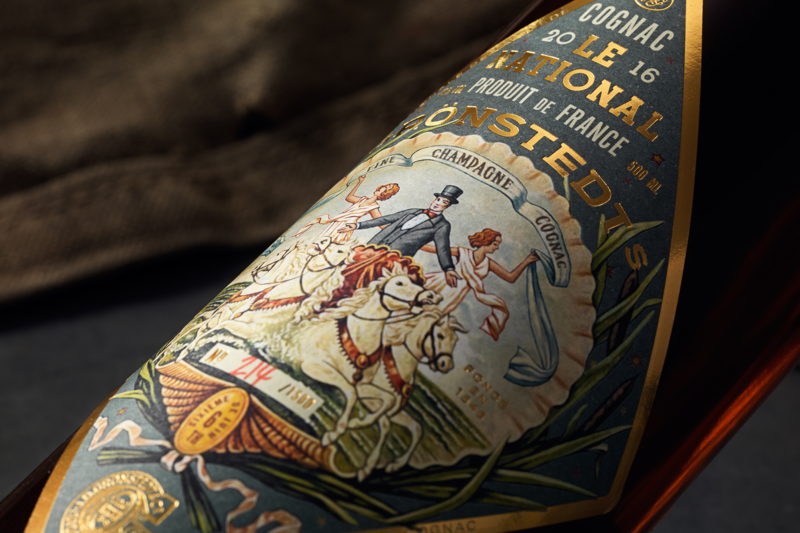 Grönstedts Le National cognac is distributed only within Sweden. It was released on the 3rd of June 2016, three days before the Swedish national day. 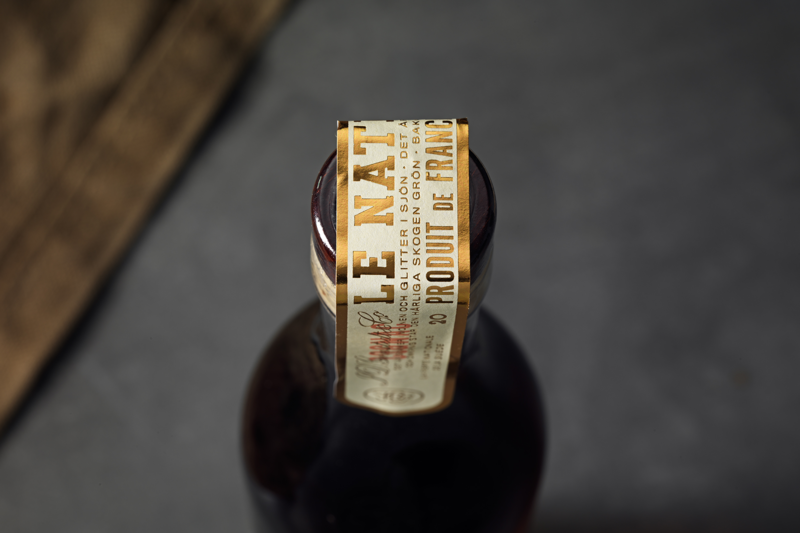 Le National is a limited edition of 1500 hand-numbered bottles that strives to inspire a higher quality of Swedish brown spirits. 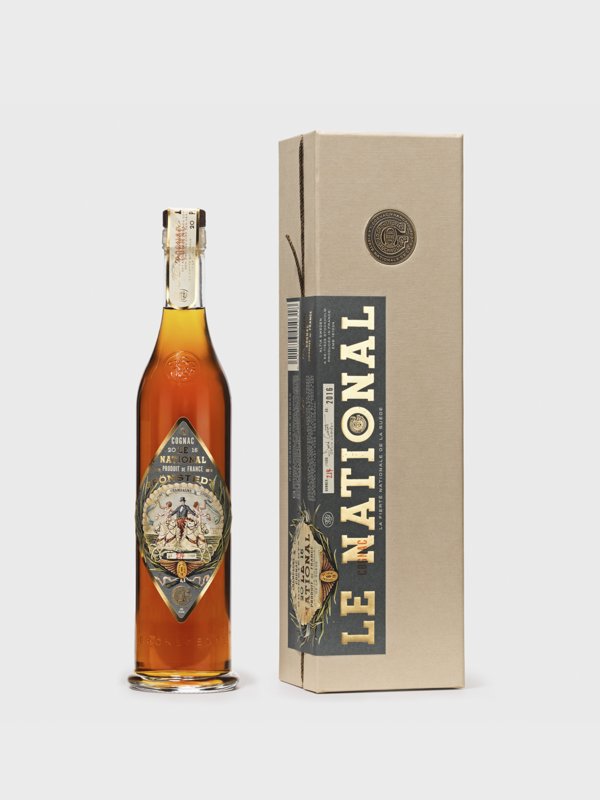 Le National’s appearance to match the product. inspire a higher quality of Swedish brown spirits.